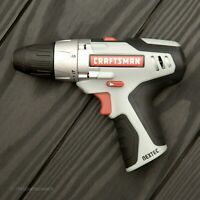 CRAFTSMAN NEXTEC 320.10003 11812 12V 3/8 DRILL DRIVER HIGH TORQUE - BARE - NEW! 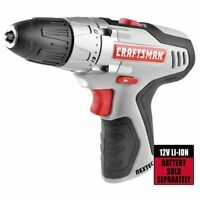 CRAFTSMAN 315.DD2015 C3 19.2V DRILL DRIVER 3/8" VARIABLE SPEED REVERSIBLE - NEW! There are 727 items available. Please enter a number less than or equal to 727. Perfect fit and very good quality, running great. Fast shipping! Recomendable! Awesome! is a 5-star product! Great seller. Item arrived way ahead of schedule. Will definitely buy again. GREAT QUALTIY BELT. MUCH BETTER MATERIAL THAN THE ORIGINAL BELT. GOOD PRICE, FAST DELIVERY. I DEFINITELY RECOMMEND THIS BELT. Not sure of quality yet, won't know until I use it for a year. put the belt on, tightened it to about 1/4 inch flex, and.... ta-da. It worked. 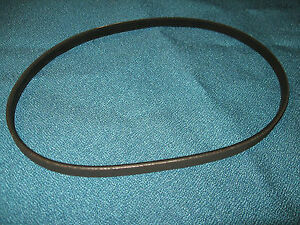 Correct replacement belt for a Craftsman 12" bandsaw. Well made -- better made than original.